04 Feb Wherefore art thou heavy lamb? In the Friday sheep market comment we noted the lack of Heavy Lamb across NSW sale yards since the start of the season. This analysis piece looks at the other two key mainland states across the East coast to see if the pattern of Heavy Lamb throughput is being replicated. Recap on the Friday Sheep market comment here. Heavy Lamb yarding levels in NSW have averaged 25,750 head per week since the start of the season. Compared to this time last year NSW Heavy Lamb yarding was averaging over 42,000 head, so we are running nearly 40% below the 2018 pattern. Measuring the volumes across the last five seasons shows that Heavy Lamb throughput in NSW for the same time frame is around 33,600 head, which puts the current sale yard volumes 24% under the long-term seasonal average – Figure 1. Victorian sale yards have been displaying a similar pattern with the current year’s volume averaging 14,226 head per week compared to nearly 21,000 head in 2018. Although not as severe a difference than in NSW it still represents a drop of 32%. A comparison to the longer-term average over the same period shows Victorian Heavy Lamb yarding levels averaging over 16,600 head per week putting the 2019 pattern nearly 15% below the five-year average – Figure 2. The story is the same for South Australian throughput levels too, and despite the absolute yarding figures in South Australia being lower than Victoria and NSW, the magnitude of the decline in yarding volumes are like what is being experienced in NSW. In South Australia Heavy Lamb numbers at the sale yard averaged 2,760 head per week compared to just over 4,800 head in 2018, a drop of 43%. The 2019 pattern for the five-year seasonal trend is also below average running 37% under – Figure 3. Given the tough trading conditions last season and the move to flock liquidation due to the dry spell its unsurprising to see the lack of Heavy Lamb in these states. It’s likely to see Heavy Lamb prices remain well supported while the supply remains soft. Furthermore, it won’t take much to see a kick on in lamb prices should we start to see a more favourable turn around in weather conditions as we head toward the Autumn. Victorian and South Australian sale yard throughput levels for Heavy Lamb are mirroring the reduced supply being experienced by NSW. 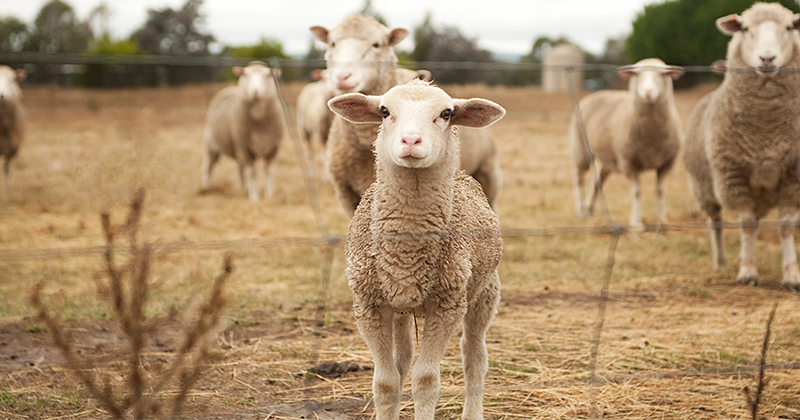 Victorian Heavy Lamb numbers are running 15% below the five-year seasonal average. South Australian Heavy Lamb numbers are more pronounced, trending 37% under the five-year seasonal average.